The following is the second and final part of an interview with Minoru Mochizuki Sensei conducted on November 22, 1982 in Shizuoka City. Part one can be found here. 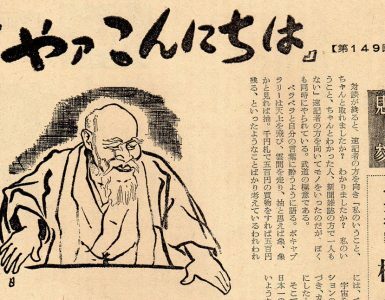 The point which Ueshiba Sensei and Kano Sensei had in common was their “Wa no Seishin” or Spirit of Harmony. It meant a mutual development of the self and the other, you and your partner going forward together. In sports, however, the situation is quite different. In sports it is a case of doing your opponent in and coming out on top as the lone winner. This is the spirit of sport and it will never do. Times have changed and now we hear people asking if the U.S.A. is going to win or is it going to be the Soviets? Talking like that is going to bring about the extinction of the human race. The sporting mentality is going to bring the world to an end because it doesn’t contain the spirit self-salvation and the helping others. Western people have been taught something of the spirit of salvation in their churches but we here in Japan learn nothing about it in our shrines and temples. I went overseas to spread Aikido and had shiai matches with many different people while there. 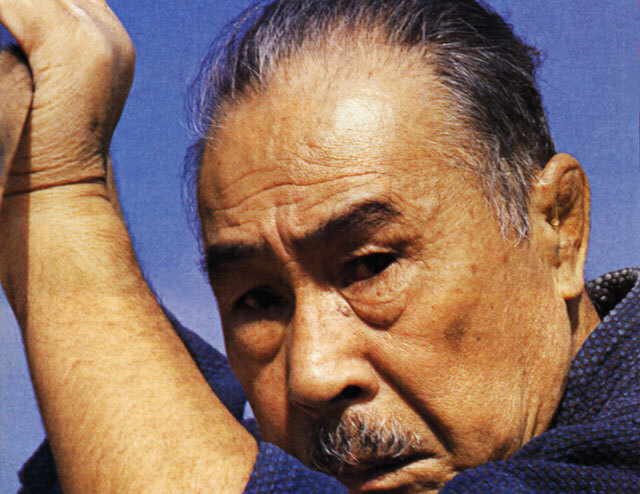 From that experience I realized that with only the techniques of Aikido it was very difficult to win. In those cases I instinctively switched to judo or kendo techniques and was able to come out on top of the situation. No matter how I thought about it I couldn’t avoid the conclusion that the techniques of Daito Ryu Jujutsu were not enough to decide the issue. Wrestlers and others with that sort of experience are not put off by being thrown down and rolling away. They get right back up and close for some grappling and the French style of boxing is far above the hand and foot techniques of karate. 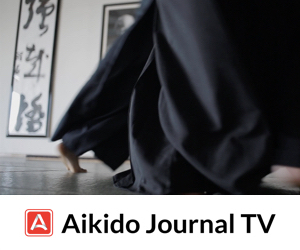 I’m sure that Aikido will become more and more international and worldwide in the future, but if it does, it’s technical range will have to expand to be able to respond to any sort of enemy successfully. Having said all this, Sensei said to me, “All you ever talk about is winning and losing.” “But one must be strong and win. 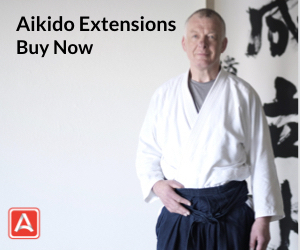 And now that Aikido is being spread throughout the whole world I think that it is necessary for it to be both theoretically and technically able to defeat any challenge,” I said to Sensei. “Your whole thinking is mistaken. Of course, it is wrong to be weak but that is not the whole story. Don’t you realize that it is no longer the age where we can even talk about whether we are winning or losing? It is the age of “Love” now, are you unable to see that?“ This he told me and with those eyes of his! That’s why I feel so sincerely from the deepest depths of my heart that it is this very budo that I want to spread to the world. I feel very strongly that there must be some words that can convey to people today the ideas and thoughts of Ueshiba Sensei. But also, it is necessary to have techniques that can teach these things. It is vital to be able to both express it in words and to perform it in deeds. These days I am doing a lot of writing. 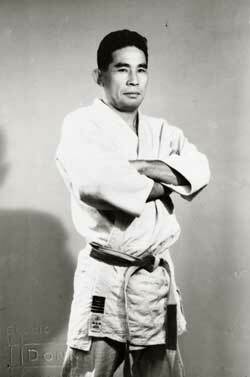 In Judo we see a booming spread of the art but a great many have forgotten Jigoro Kano Sensei. In doing so they have also forgotten the things that he said. Things have come to the point where some people will actually say that if they strive to follow the precept o? “Mutual Development and Progress,” they would not be able to take part in a match! That’s why right now I am attacking the Kodokan. I am the number one persona-nongrata at the Kodokan these days. But my mission in life now is to find out how best to make the thought and spirit of Kano Sensei and Ueshiba Sensei more and more viable and meaningful. Time is running out, you see! Sensei, did you ever have the chance to meet Sokaku Takeda Sensei? The only time that I ever met Takeda Sensei was just at the time that the Ushigome dojo was first finished. Ueshiba Sensei had gone out and I was left in charge of watching the dojo until he returned. Sensei, his wife, his son Kisshomaru, Mr. Inoue, everyone had gone somewhere or other. Just at such a time who should come but Sokaku Takeda Sensei. “Ueshiba, are you in there?” he yelled in a fearsome voice. When I came out I found this little old grandfather type standing in the entry. I said politely, “I’m afraid that everyone has gone out.” “Oh!” he said and boldly came right on in. He then proceeded to go from room to room and had me open all the sliding doors. Every one, even the kitchen and Mrs. Ueshiba’s room! Finally he sat down in the “tokonoraa” alcove with a loud thump and demanded some green tea. Just as I was about to put the leaves into the pot I heard him come running up to me from behind. “No, stop! I’ll do it myself,” he said. Well, at that time we would use dippers to ladle out water and, you know, he took one and put it into the flames of the fire for a while. Then he put the tealeaves into the hot dipper and toasted them. He was making “senji cha” roasted tea, you see. Then, skipping the pot all together, he just put the hot water into the dipper. Then he poured the tea into teacups and told me to drink some of it. I said politely, “After you, sir.” But he boomed, “It is etiquette that when you serve tea you drink some of it first.” That was certainly the first time I’d ever heard anyone say that! He didn’t even trust tea that he had made himself. It was really strange, indeed. Next he asked if we didn’t have any cakes or other snacks and opened up one of the cabinets and found a box of something and took it out himself! This time too, he made me eat one of them first before he’d try one. “Before you serve a guest you must eat a piece of the food first to show him that it is not poisoned,” he said. I took one and ate it. Sensei then took the one that had been just next to mine and ate it. He was extremely cautious. I was quite surprised. He then started talking about an old mansion of a certain feudal lord. “Wasn’t the Mizuno mansion near here?” He meant the estate of Jurozaemon Mizuno, a ranking retainer who had been known to flaunt his power and who had lived about 150 years before. The thing was he talked as if it had happened only yesterday. I answered that I heard of a place called Mizuno no Kara. Takeda Sensei then told me this story. “That old man who came in here a while ago was standing in front of Ueno station and asked me how much it would cost to get to Wakamatsu-cho (site of the Hombu Dojo). I told him about one yen. He said, ‘Oh,’ and got in. But as soon as we got moving he asked me to take him to the reclaimed land area called Asahigashi. Asahigashi and Wakamatsu-cho are in a completely different directions from Ueno and so actually one yen is not nearly enough for the ride. It was more like two. When I told him that the price was double he got mad. “The driver was really scared. ” That old man has a sword inside that stick of his. I saw it in front of Ueno station. I was waiting for a fare and that old guy came along. There was this big dog walking along and he stabbed the thing to death. One move, just like that!“ he explained. The dog didn’t even have time to make a sound. He was dead on the spot, stabbed right through the heart. After seeing that exhibition, when Takeda got angry over the higher fare the driver was afraid he might be next and Takeda Sensei got away. What could I do, I had to pay the two yen. Ever since then I have been able to say that the famous Sokaku Takeda Sensei owes me two yen. I guess that, at least, will assure me a place in history (Laughter). Later when I got a look at the stick that he had stood in the tokonoma I noticed that the end was actually a spear blade. Anyway, the land fill called Asahigashi was the site of the old Momoi Dojo and that’s why Takeda Sensei had wanted to visit the place on his way to the Ueshiba Dojo. Out of nostalgia. However, if you look in the written biography there doesn’t seem to be anything about a man named Momoi. On the contrary, in his biography it says that Takeda was admitted to the Sakakibara Dojo and studied sword work (“kendo”) there. I find this all very strange. Moreover, Takeda said that when he was 17 he took on the teacher, Momoi, in three matches and “won two out of three.” But he never said a word about Sakakibara and talked only of Momoi. Well, I guess that continued for about three hours, the two of us talking together. He seemed to relax a little as time went on. He complained that his kimono was too hot and started to take it off so he could dry off his sweaty body. After that Takeda Sensei stayed in the dojo for about a week. One day Mr. Kamata said, “What are you going to do with an old guy like that? He says lets play shogi chess but he is no good at it. Then when you go to take his king he grabs it off the board with his left hand!” He was really competitive and hated’ to lose. My own personal impression of him was really quite bad. These days his son is continuing the art up in Hokkaido. He is rather young still, so I guess that Sokaku Sensei must have been somewhere around 60 when he was born. 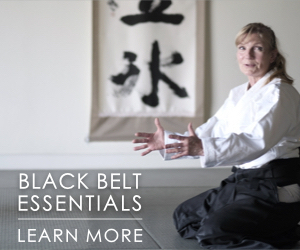 Could you tell us what Ueshiba Sensei’s attitude toward Takeda Sensei was like? It was precisely the proper attitude of a good student toward a truly fine teacher. If Takeda yelled, “Ueshiba, make some ricel” O-Sensei would answer immediately “Yes, sirl” And he would always make it himself, he wouldn’t just pass on the job to his wife. “Ueshiba, is that bath hot yet?” Takeda Sensei would yell, and the answer would come right back, “I’m heating it right nowl” Everything from washing Sokaku Sensei’s back to cooking his meals Sensei would do himself. He never had us do it. There is the old saying that “In working for a teacher, service is the main thing,” and Ues’hiba Sensei fulfilled that dictum to the letter. 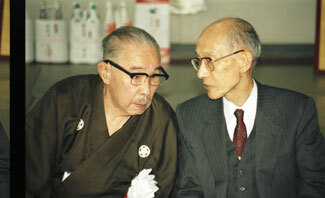 When Ueshiba Sensei often dropped in at my place in Shizuoka I would always try to do my best to serve him. I would sleep with him in the dojo. I usually got up early in the morning to start the breakfast cooking but sometimes Sensei would say he’d do the rice so I would go out to buy the tofu bean curd for the soup or some such thing. It always seemed more like two friends out on a camping trip, the two of us cooking together like that. Sensei really liked me, you see. He had wanted me to marry his daughter but my ambition was to travel all over the world and so I thought it better to turn him down. Back before the war he would come to my house every month and stay for any number of days. At times (his son) Kisshomaru would angrily have to come down to take him back. One morning after we had stayed together in my dojo Sensei got up and said, “Mochizuki, there is something strange about this place. This house has a river running under it” I thought it must be some kind of joke, you know, so I said that there was no river running anywhere near the center of town. “I know that,” he said, “but anyway there is water flowing here and that’s a fact.” I just put it all down to Sensei talking in that odd way of his again, and let it drop. Then about a month later the people from the house behind my place came over. “We are really very sorry to trouble you but would you mind if we dig a hole right in the middle of your dojo?” “What the heck!” I said, and the fellow went on to explain that the local drainage system passed directly under the dojo. It seemed that the pipe had become blocked with mud so that the water could barely pass. Yet Sensei had been able to detect the sound of that little trickle of water even in his sleep. You couldn’t hear even the least sound of water, you know. To get to it we had to take up the floor of the dojo, dig away some of the dirt to find a iron manhole cover, open the cover and then clear out the debris that was blocking the pipe. Things like that were always happening with Sensei. In 1951 I went to Europe. Just before I left I visited Sensei’s place to bid him farewell. Sensei and I were very close, like a father and a son, and so there was none of the kowtowing and flattery that is usual between a student and his teacher. I walked right into his room and said, “Sensei, I’m on my way to Europe this time.” Sensei then said, “So you are going to do it. Then that dream has come true. Aikido is going to become worldwide after this.” It seemed that for the last three nights before my visit Sensei had had a dream in which a god had told him that one of his students would soon go to Europe and that the trip would trigger the spread of Aikido around the entire world. “If you would go for me then it would really be a dream come true.” After my trip his other deshi gradually began to go to foreign countries and Aikido has become global in scale. In my case, it was still before the normalization of Japan’s status as a nation after the defeat in World War II and so I had to travel on a passport issued by the (Allied Forces’) General Headquarters, GHQ. I had gone mainly to teach judo but also taught Aikido. While I was there they held the European Judo Championships. There was a 30-minute break between the semifinals and the final matches and during that time somebody suddenly asked me if I would like to do a little judo. I had them find about six strong looking fellows and asked them all to get hold of an old stand, a bokuto, mop handles or something. Then I told them to all attack me at the same time. “If any of you can hit me I’ll give you a prize, later.” I told them to come with all of their power and the six of them did, all at once. I did irimi and boom, boom threw them down, right? What I didn’t know was that the American movie company, Universal Studios, had a news crew there with cameras and filmed the whole thing and distributed it worldwide. After that, letters and invitations from all over the world started floating in. I got an invitation to become the top official for physical education for the country of Argentina, for example. Even in Japan it was a big deal. My son happened to be at a theater when the news briefs came on and there I was. He yelled, “Hey, that’s my dad!” (laughter) Later he got a bunch of relatives together and went to see it again. This is a story about when I had just come back from China. At the Ushigome dojo there was a certain Mr. Hirai who had been put in charge of the dojo since sometime during the war. But now that the war had ended Ueshiba Sensei himself wanted to return to Tokyo and so he asked me if I wouldn’t set things up by talking to Mr. Hirai about it. I was to go and talk to him, get the dojo back for O-Sensei. 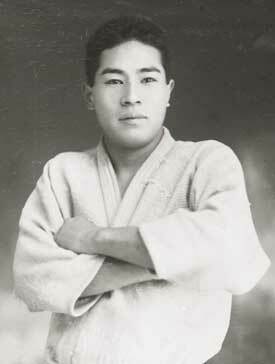 Also, since young Shioda had started a dojo in a place called Tsukushi Hachiman, it would probably have had some influence on the Ueshiba Dojo. I had to talk to him and get him to agree to move somewhere (a little more distant) as soon as possible. Everyone listened to what I had to say but since I had been made to do all those things I ended up feeling a little uncomfortable about going to Tokyo. You see, O-Sensei and Kisshomaru Sensei had already asked me to take over the management of the dojo since Mr. Kisshomaru was at that time working in a securities firm. “This is going to be trouble in the future,” my intuition told me and I refused to get into it. In recent years too, I suppose that Mr. Tohei had the same sort of run in. 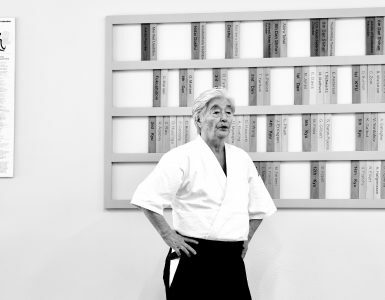 Mr. (Koichi) Tohei sent me a letter at the time: “I have worked for Aikido for many years but now I find myself driven out. It is a great disappointment.” I had instinctively felt that such a situation would bring trouble in the future. I had felt that kind of “ki”. That is why I had avoided that sort of thing. I wrote back to Mr. Tohei and asked him if he wasn’t able to realize that in advance. I can go up to the Hombu Dojo anytime, even now, but I doubt that Mr. Tohei can do the same. So, as far as “ki” is concerned, I must be more advanced. Recently, the “International Budo Institute” recommended me for the Aikido tenth dan rank but I said I couldn’t accept it without the Ueshiba family’s approval. I went to the Ueshiba family about this subject and Kisshomaru Sensei admitted that I, of course, was qualified to be a 10th dan. He said that he didn’t think that his deceased father would have been against me getting one. There were at that time about 19 people of the rank of 8th dan. However, those people had only studied Aikido and didn’t have the experience with other arts that I had. Thus it was natural that they couldn’t go any higher than 8th. The standard is fixed. So I think that Mr. Tohei’s “10th dan” is something he gave to himself. There is one other person who lives in Tanabe City (the birth place of O-Sensei) who calls himself a judan but that person’s 10th dan, too, didn’t come from the Hombu. It seems that O-Sensei had gone to that person’s dojo long ago and commented, “Ah, you are already a judan.” Hell, the person has that on a tape and brought it to the Hombu and asked for a certification. The family refused, saying that they did not give out grading on that sort of criteria. Sensei, are you still teaching here everyday? 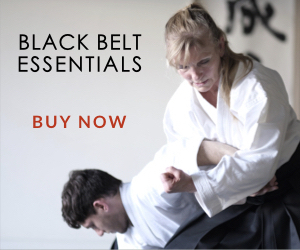 Yes, I have various instructors for Karate and Aiki. I help by giving a few comments. Aikido is three times a week and Karate also three times but, on Friday we do the two together. That way those who do Aikido have some knowledge of Karate and likewise the Karate people know something of Aikido. It is necessary to know both arts. Even so, no matter what we do, the two are divided up. People these days seem to have analytical minds that want to divide things up, few seem to think in terms of bringing things together. They have been Europeanized. Do you occasionally have the opportunity to meet with the other prewar deshi? 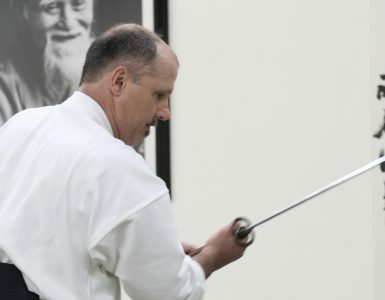 Without a doubt the most impressive and top class teachers in my opinion are those two, Ueshiba Sensei and Kano Sensei. I was blessed to have had them both as my teachers and just that is enough to make me fold my hands and give thanks to the gods. I could never ever thank them enough, though. Knowledge is a treasure and an inspiration. Frequently after training I will go out to dinner with one of our Sensei. One of them trained with Abe Sensei and a little with Saito Sensei. The other did a year with Hikitsuchi Sensei, and it is these types of stories I love to hear. Great job reintroducing these interviews!